Hello and welcome to the CTMH Australasian Feels Like Home blog hop, if you arrived here from Kara's blog you are in the right place. If you arrived here by chance I hope you see something you like. You can continue the hop by clicking on the link at the end of this post. As Easter is nearly upon us I thought I would make an Easter card, it's a really easy card except for the fussy cutting and I really don't mind the cutting. Just a reminder to remember to use the great stamps that you have in your stash. The Happy Easter and the lovely long tulip flowers stamps are from the special 12 month stamp set that CTMH had about 2 years ago. The pretty pink bow is available in the clearance section for just $6.00 contact your consultant. I used pattern 6 from the CTMH Make It From The Heart Volume 2 ideas book for this layout. These ideas books are a great resource. The layout features another quilt made by my mother for her youngest great granddaughter. I didn't buy the stitched quilting Thin Cut dies thinking I would never use them but I was away at my niece Laura Beacham's retreat last weekend and used hers. I am now in love with them and can't wait until they are back in stock. I am not a quilter but my mother and both of my sisters are all quilters. Here is a close up of the little quilt I created as a decoration, Mia was not well and wanted the quilt made for her by Ma, to cover up with while she was watching TV. This lovely butterfly is from the cut away decorative sheet. I love making birthday cards to give family and friends, even though this one took a little extra time colouring and fussy cutting it was so worth it. 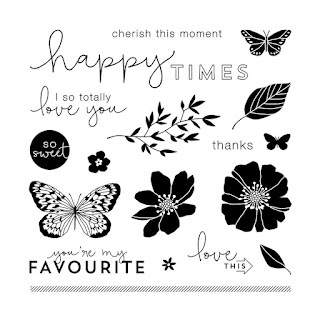 I have used the Love Blossoms stamp set, the butterfly is from the April Stamp of the month, the birthday is from the Dandelion Wishes set and the happy is a cricut cut. Thanks again for stopping by to continue the hop go to Lauren Moore CTMH Crafting and see what great project she has created. We all appreciate it when you leave a comment, so take a moment and leave one. 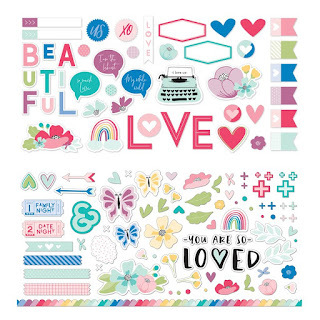 April Stamp of the Month "Love So Sweet"
Hello and welcome to the CTMH Australasian April Stamp of the Month blog hop if you arrived here from Doreen's blog You are in the right place. If you arrived here by chance I hope you see something you like. This stamp set is called Love So Sweet and it really is so sweet. There are so many wonderful stamps in this set. Just look at these butterflies, flowers and sentiments aren't they just gorgeous. These lovely butterflies and flowers complimented this layout beautifully. I have used the Mix In Paper pack for these projects. I came across the quote "play is not a luxury it is a necessity" and thought I would use it as the starting point for my journaling. I found inspiration for this card on Pinterest, I am always so amazed by the amount of talented people out there. I stamped the butterfly with Black Momento ink and then sponged it with a dauber. 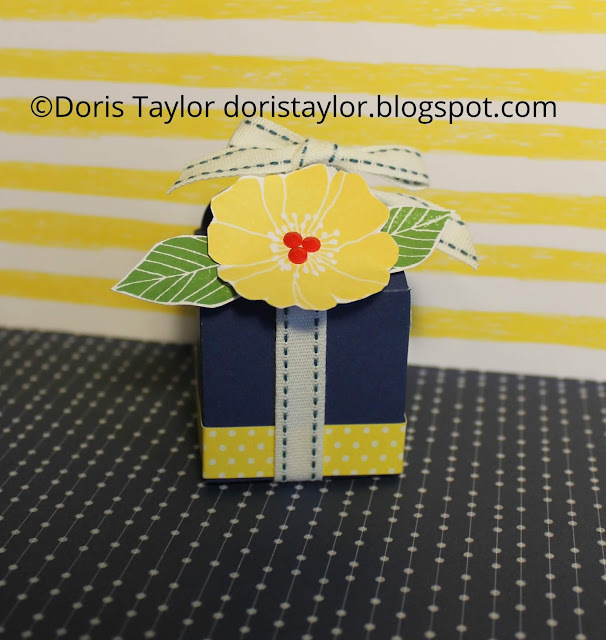 This little box is made with the CTMH favor box die, unfortunately it is now discontinued. I really like how it cut the holes and slits that allow you to add the ribbon and know that it is secure and wont fall off. The flower and leaves are so easy to fussy cut. I used one of the Zip Strips along the bottom of the box. You can find some more great ideas by hopping along to Shaunna's Passionate About Pages blog and see her great project. Thanks again for stopping by and please take a moment and leave a comment, they are always appreciated. Hello and welcome to the CTMH Australasian So Much Happy blog hop if you arrived here from Maz Wood's blog you are in the right place, if you arrived here by chance click on the link at the end of this post to go to the next blog. Close To My Heart never fails, their products are always fantastic and the So Much Happy collection is no exception. 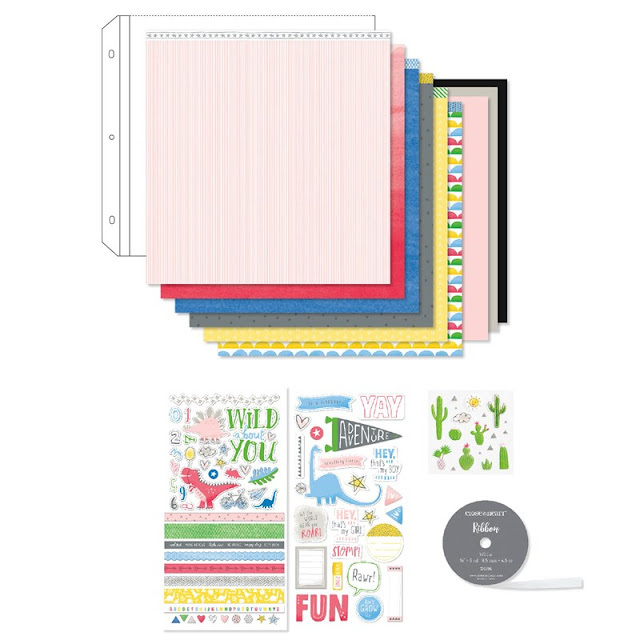 I really like how the paper packs have the coordinating cardstock as well as the printed papers and decorative elements. My plan for this hop was for my projects to be easy and simple to complete. I think I have achieved that. Giving handmade cards is so special, I know from experiences the receivers love them. 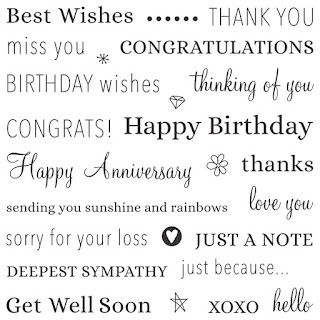 This card really is quite a simple one but I think it is really lovely. I have taken inspiration from the paper with the white daisies. All you need is a few small pieces of paper and the white daisy and leaves, so easy! The daisy was cut using the Flower Market Cricut cartridge. Add the butterfly and a sentiment and the card is finished. For this layout I have used three of the papers, two zip strips, some of the decorative stickers and a few cute photos. Easy peasy, no fancy cutting just straight edges and simple decorations. This treat bag is made with a piece of paper that is 8" x 5" and adhered at the back with a strong adhesive. Decorate as desired. The bag will hold lots of different things. 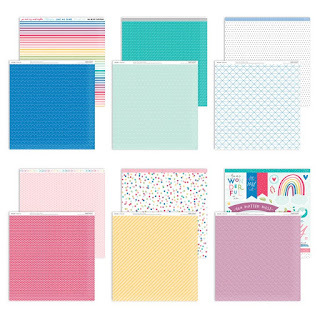 In this photo it has two of the 1/4" washi tapes and one that is 1/2". You can also add a packet of the gems or one of the narrow rolls of ribbon. I am sure you will come up with lots of your own ideas. I thought this would be a great way to use up all of our extra papers and these bags will be great for give aways at our workshops and retreats. Once the edges are glued together score the bottom and fold as shown. Trim the two ends on an angle and also trim the underside edge before you glue the end down. I used a circle punch to allow for easy access to what you put in the bag. Thanks for stopping by, I hope you have seen something you like. To continue the hop go to Vandra's CTMH Craft room and see what wonderful project she has created. Please take a moment and leave a comment they are very much appreciated. 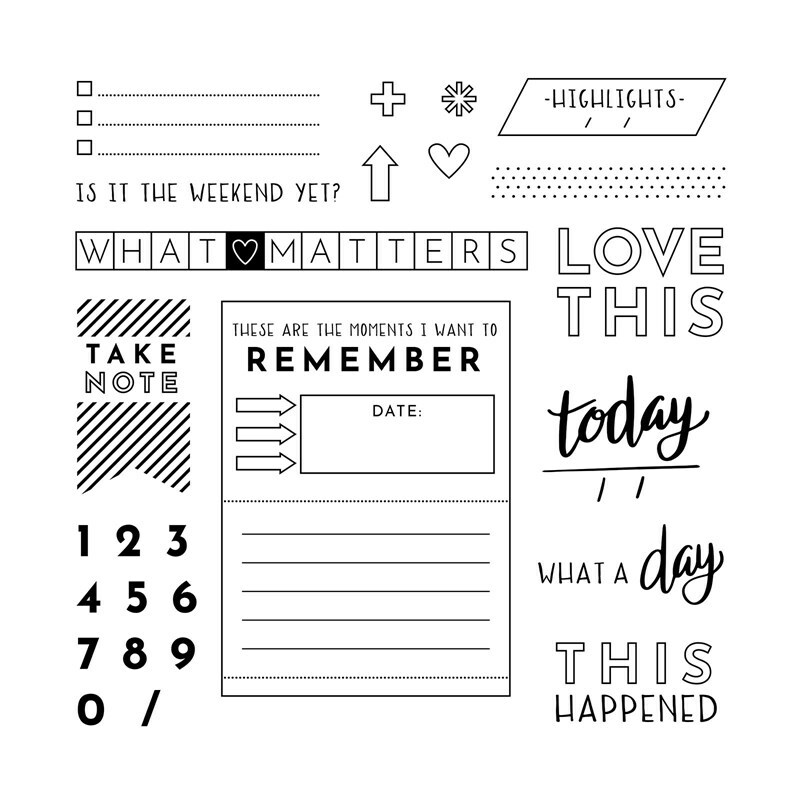 March Stamp of the Month "This Happened"
Welcome to the CTMH Australasian blog hop if you arrived here from Shaunna's Passionate About Pages you are in the right place. If you arrived here by chance you can continue the hop by clicking on the link at the end of this post. 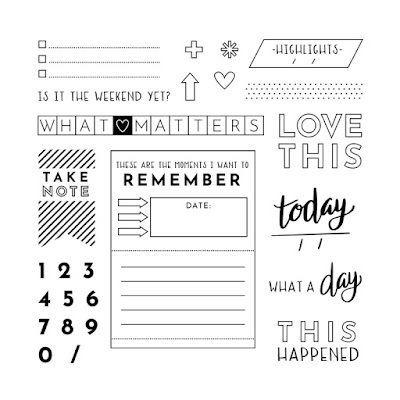 This month's stamp set is all about things to remember, it is perfect for journaling on your layouts or some of the stamps can be used for cards. 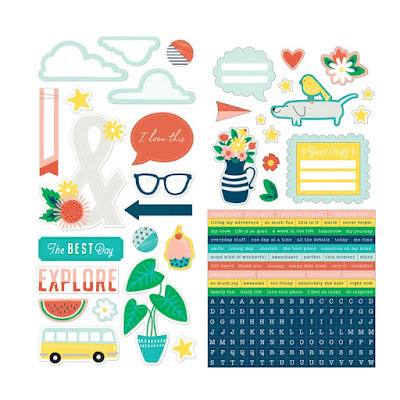 These stamps are so versatile and I know I will use them lots. For this card I used the "What a Day" stamp, the T O from the today stamp and the celebrate thin cut to create my sentiment. 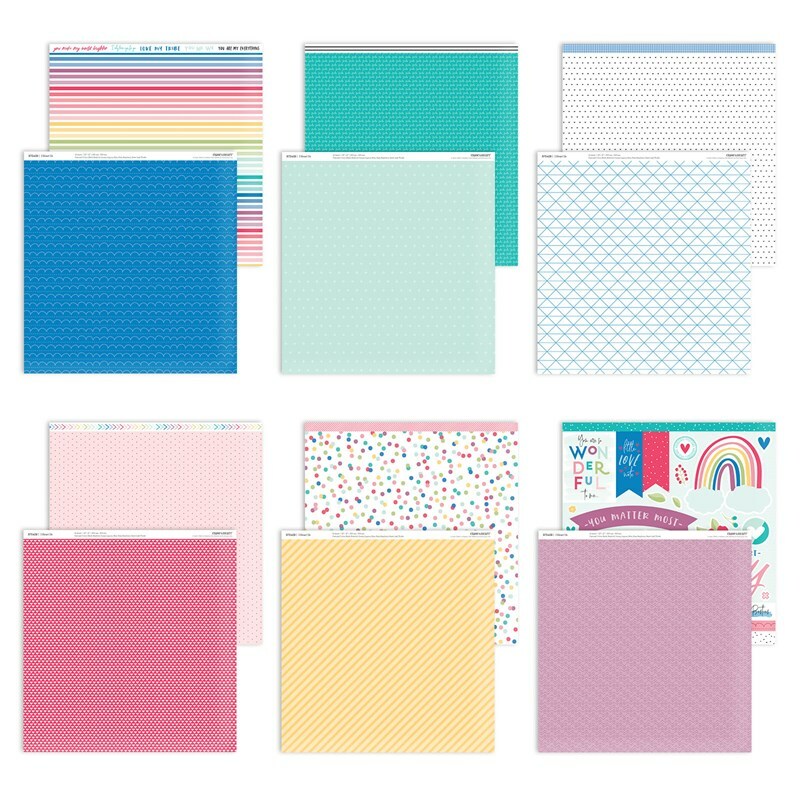 I have also used the lovely Heart Happy collection that was a special release last month, I love everything in this collection. To make the celebrate thin cut more prominent I cut it twice and then glued it together. I have used a few different stamps and again I have used the Heart Happy collection for this layout. After stamping the Take Note stamp I have cut it and added the small bits of Zip Strips because I didn't need the words but I liked the look of the flags. Sometimes it isn't necessary to journal about what's happening in the photos but rather about what really matters! Thanks again for stopping by, to continue the hop go to Lauren Moore and see her wonderful project. All comments are gratefully received so please take a moment and leave a comment. I did a workshop with my niece Laura to learn how to make these large flowers, they are so beautiful and really quite easy to make. These are the ones I made at Laura's workshop. 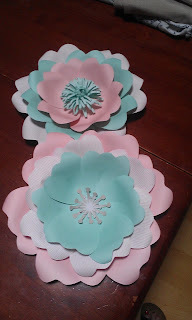 My friends Karen , Colleen and I got together so I could show them how to make these lovely flowers. We have so much fun crafting together. 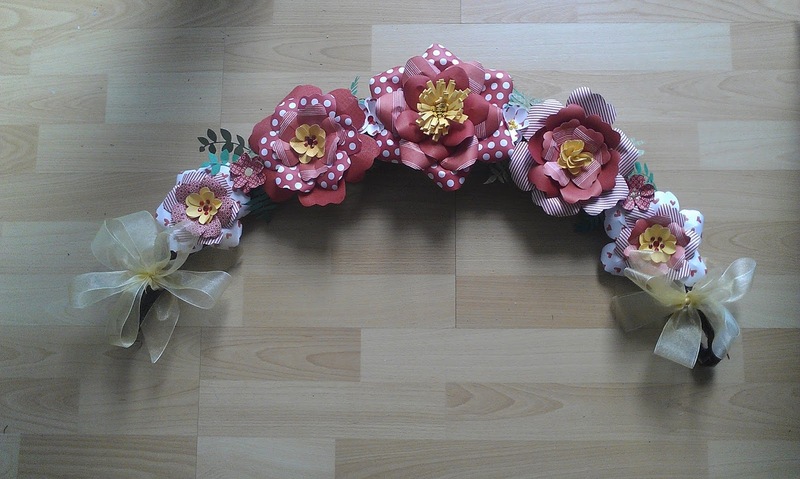 This is my completed project, I've decorated a reed swag with the flowers and ribbon. I choose a number of different CTMH patterned and plain red papers and added some leaves. It hangs on the cupboard door in my entrance way. It was Karen's birthday a few days later so we celebrated her birthday as well. 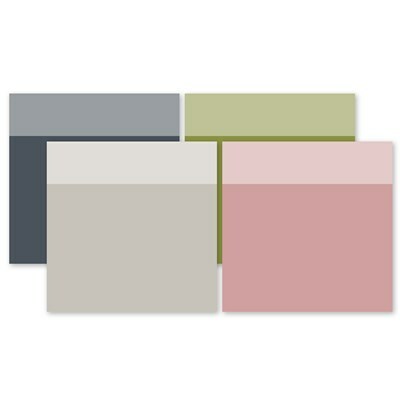 Here is a layout I created with the I Heart Us paper collection and compliments. I love how it turned out. I hope you have a wonderful weekend and get an opportunity to do some crafting. 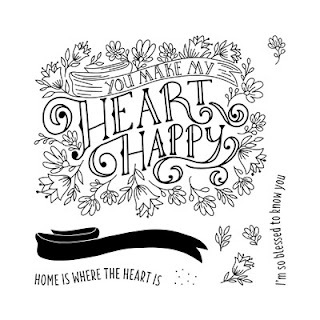 Welcome to the the CTMH Australasian blog hop, if you arrived here from Shaunna's Passionate About Pages you are in the right place. If you arrived here by chance I hope you see something you like. To continue the hop click on the link at the end of this post. This is a wonderful collection, the colours and patterns of the papers are beautiful and the stickers are so gorgeous.There are two stamps sets that coordinate with this collection, I have only used one. I keep trying to improve my water colour painting and I am rather happy with this effort. I stamped the flowers and leaves with Pebble ink. I wanted the background to be a softer colour so I decided to use some vellum paper on top of the blue and I liked the look of the striped one but the gold stripe was too bright so I turned it over and much preferred this look. I love the pink pearls. Blue and white is one of my favourite colour combinations and I especially like the Carolina Blue in our range. I decided to use this cardstock and heat emboss with the white embossing powder and the flower stamp. I have also used the new Swiss Dot Embossing Folder, the hello thin cut, some white ribbon and a little bling. Thanks again for stopping by to continue the hop go to Vandra's Virtual Craftroom and see what wonderful project she has to share. Your comments are always appreciated so please take a moment and leave a comment. Welcome to our January Stamp of the Month blog hop, if you arrived here from Nell Ward you are in the right place. If you arrived here by chance I hope you see something you like and to continue the hop click on the link at the end of this post. 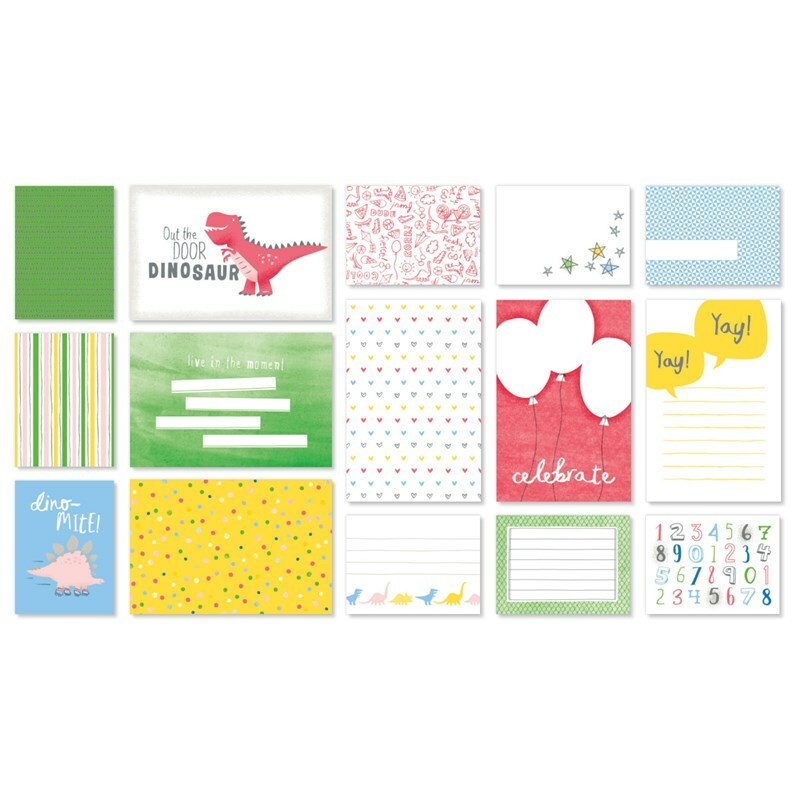 Card Captions is a wonderful stamp set it has 26 images both sentiments and icons. This set has just about any sentiment that you could need. I can see myself using this set again and again. 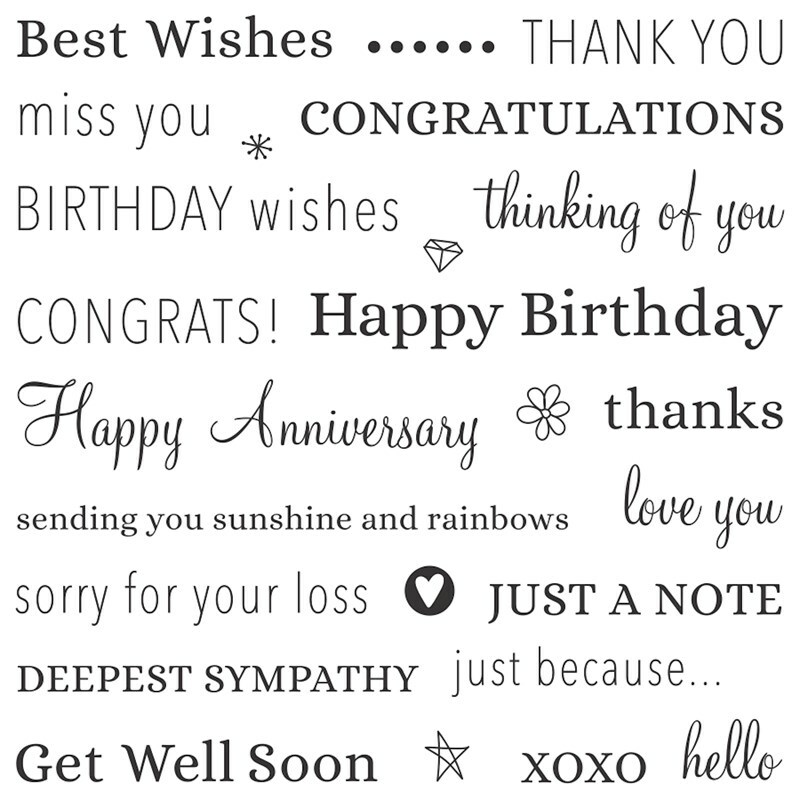 This first card uses the lovely thinking of you sentiment I love the bold fancy lettering. All of the stamps that I have used stamp beautifully with good coverage no need for extra pressure. Some mistakes can become features, after stamping this bunch of flowers I decided to colour with the Shin Han markers and I went outside the line big time on the pink flower. I didn't want to start over so I decided to fussy cut the image, then mounted it on a stitched circle using 3D foam tape. 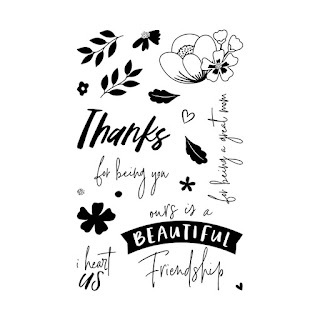 I love this embossing folder which I have had it in my stash of goodies for some time now. I really like to add butterfly punches whenever I use a flower stamp, I just think they really go together. I wanted to make a birthday card using a cupcake stamp but decided I wanted it to be a more adult version so I chose black, white and gold for my colours. I decided on this cupcake stamp because it also has the Thin Cut to match which made making the cupcake in two pieces so much easier. It's called Sweet Birthday Z3374 and it is essential for baking and birthdays. As you can see I only used the candle stamp not the cupcake. To make the cupcake I first cut the whole cupcake in the gold foil paper than just the top in the white with gold dots paper. I used the gold embossing powder for the Birthday sentiment and the candle. A few gold gems and some black ribbon added the finishing touch. I scored lines on the cupcake to give it some dimension. You can see my stamping of the sentiment is not quite straight that's because I stamped the Happy and Birthday separately by placing the just the part that I wanted on the block and folding the extra bit along the back of the block. I have cut my stamps before when I feel it's necessary but if I can get away without having to cut the stamp I will. In this instance it not being straight didn't bother me. I love this Birthday Box that I have made for special little girl's birthday in February. It's called an explosion box, I decided to make it 4" square so it could hold a few goodies. 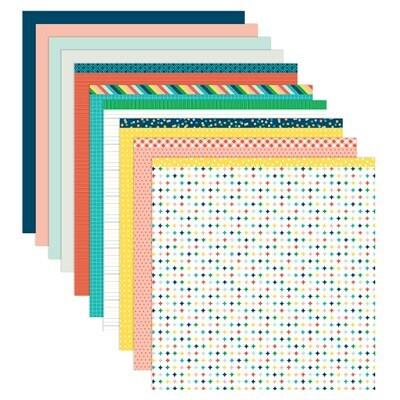 I really like the papers in the Oh What Fun collection that was showcased last month and knew I would be using it for projects other than Christmas. This lovely pink heart ribbon is no longer available. Instead of having all four flaps fall I choose to adhere two together so once I put the extra presents in, it would be easy to place the lid on the box. 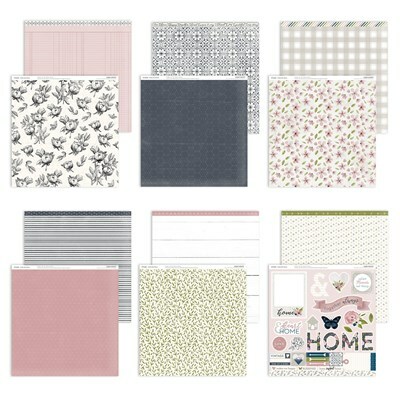 I have used a few of the different papers and Zip Strips from this collection. I have made two small boxes and what is know as a sour cream container to hold some special presents. Here are a few close ups of the inside of the box and the stamped sentiments, I used five of the different sentiments in this project. I hope Lucy will like her special gift. Thanks again for stopping by to continue the hop go and see what Kylie McLoughlin at Creating with Kylie has to share. I am sure it will be something wonderful. Please take a moment and leave a comment, it does help to motivate us to be more creative. January 1st is also the release of the new Seasonal Expressions catalogue, and boy you will love everything in this catalogue. The cover has a photo of the founder of Close To My Heart Janette Lynton as this year marks 35 years that she has been in the crafting industry. This company goes from strength to strength each year with fabulous new products and opportunities.